What's the matter? You can't call shithole countries shithole countries? No misunderstanding the accuracy of what a shithole country is. Prince made his remarks on Friday’s edition of SiriusXM’s Breitbart News Tonight, hosted by Breitbart News’s Senior Editor-at-Large Rebecca Mansour. 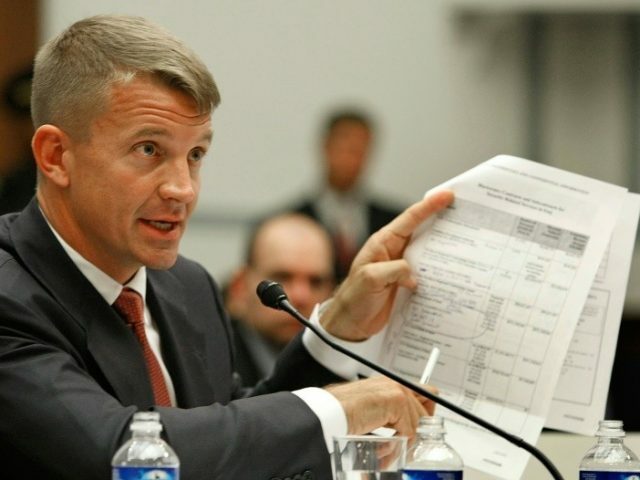 He is a retired Navy SEAL and founder of Academi (formerly Blackwater USA). Quote: I know the president was beaten up even on comments he made about Haiti, and I can speak firsthand about Haiti, because as a young Navy SEAL officer in 1994, Bill Clinton decides to invade Haiti. I was there. My SEAL team ended up sending two platoons, and we actually planned for 100 percent casualties, not from enemy fire, but because of the water quality. We had to swim ashore, and the water was so bad because there were two and a half million people with untreated sewage flowing right into the water that we were going in. We had to get so many shots, so many vaccinations, that none of us could donate blood for six years afterwards. So if the president says some places are shitholes, he’s accurate. Literally.